Cotton Soft Japanese Cheesecake | FoodGaZm..
A couple of my friends brought this beautiful cake to my office. I was intrigued and asked them what type of cake it was. They told me it was a Japanese Cheesecake. It looked so delicate and mouth watering. I went home and tried a recipe I found online. I love cheesecake and wondered what made this one different. After baking it I discovered this is not your ordinary cheesecake. 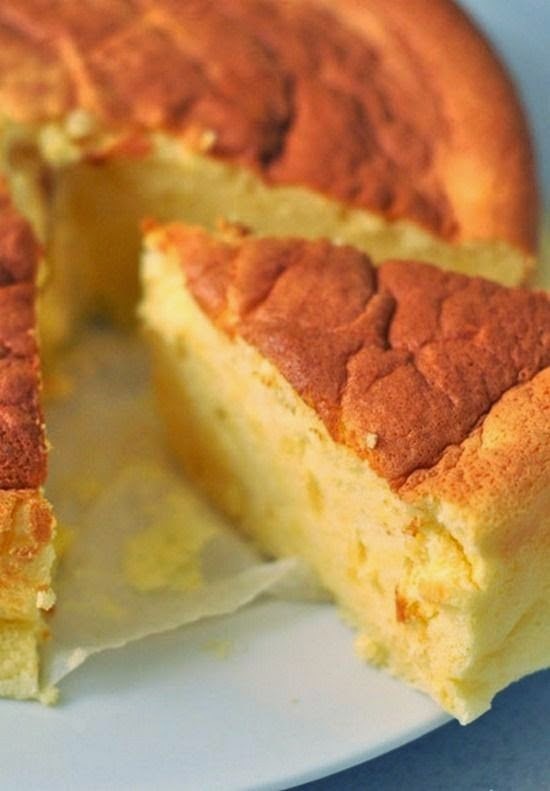 This is a very light, melt in your mouth cake. It is firm enough that you can treat it like an ordinary sponge cake, but far better than any sponge I have made. With a hint of cream cheese and lemon flavour I was sold. It is incredibly easy to make and it is perfect on it's own.